FACTS Tuition Management provides online payment plans through automatic withdrawal from a checking or savings account or charge to a credit card. 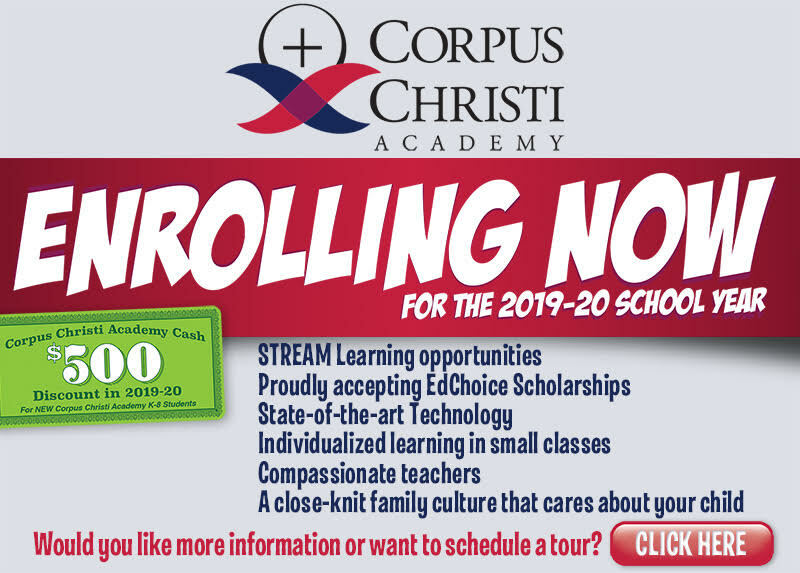 For the 2019-2020 school year, Corpus Christi Academy families will have the opportunity to make tuition payments through FACTS for Options 1, 2, and 3. For Options 1 (1 payment in full) and 2 (2 half payments), paying through FACTS is available but not mandatory. For families selecting Option 3 (monthly payments), use of FACTS is mandatory. Option 1 – Single payment due on or before July 20, 2019. ($100.00 discount for K-8 tuition payment received on or before July 5, 2019. No annual enrollment fee if using FACTS. Option 2 – Two Payment Plan – due on or before July 5, 2019 and December 5, 2019. $10.00 annual enrollment fee applies if using FACTS. Option 3 – FACTS MONTHLY PAYMENT PLAN. Payments beginning in July 2019 budgeted over 11 months and ending in May 2020. Payments can be made on either the 5th or 20th of the month. This is an automatic withdrawal from a checking or savings account or a monthly charge to a credit card. $45.00 annual set-up fee applies. Option 4 – St. Margaret & Gregory Credit Union pre-approved, interest-bearing loan. Eleven (11) monthly payments beginning July 20, 2019. Please contact the Credit Union directly at 216-691-0242. If you are new to the FACTS system, you will need to access the FACTS website to set up your account. Instructions will be provided. If you are a returning user of FACTS, please complete the form and return to the Academy office which will then complete the re-enrollment process. If the form is not completed and returned to the Academy office, we will assume you are making payment in full by July 20, 2019.